Causation is central to our understanding of human health and illness. Medical explanation, prediction and intervention are all premised on the reality of causation and philosophy is best placed to account for its nature. CauseHealth brings together philosophers, medical researchers and practitioners to address a major challenge: how to understand causation in health sciences. The motivation for CauseHealth is an emerging problem of the increase of so-called medically unexplained symptoms (MUS), such as chronic fatigue syndrome (CFS/ME), irritable bowel syndrome (IBS), lower back pain (LBP), multiple chemical sensitivity (MCS) and fibromyalgia (FM). MUS are widespread and by some estimates account for 30 percent of the symptoms reported to doctors. “Medically unexplained” means that we are unable to find a common set of causes, a clear psyche-soma division, or obvious classifications for these conditions. Each patient seems to have a unique combination of symptoms and a unique expression of the condition. While the majority of existing methods are designed for large scale population data and sufficiently homogenous groups, MUS are characterised by their complex and heterogenic nature. As a result, MUS resist medical scrutiny in a way that other conditions do not. These chronic conditions are often depicted as outliers: atypical illnesses where standard causal explanation fails. 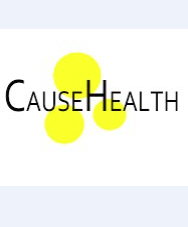 Instead, CauseHealth regards their understanding as the key to a better grasp of causation in medicine. If we understand MUS, we will better comprehend the causes of health and illness generally. Any science seeks to find the causes that operate within its domain but it must always do so with some understanding of what causation is. This understanding might be tacit and unexamined, yet it must form the basis of what we accept as evidence of causation, which becomes enshrined within scientific methods. The problem of understanding MUS could be interpreted as an empirical matter, to be solved by doing more of the same. With this perspective, more observation data, randomised controlled trials (RCTs), symptom counts and classification could ultimately lead to a clearer understanding of these conditions. Nevertheless, it has also been suggested that they show a limitation within our current medical thinking (Deary 2005, Ulvestad 2008, Eriksen et al. 2012, Soler & Okkes 2012, Eriksen, Kerry, Lie, Mumford & Anjum 2013). This would mean that the problem of MUS is a symptom of a deeper philosophical problem: how to detect causation in cases of complexity and heterogeneity. MUS represent a methodological challenge for the health sciences. RCTs and other large-scale population studies are designed to test for homogeneity: common cause and common effect. Complexity and heterogeneity are supposedly taken care of by the randomisation of the RCT. However, given individual variation, it is not clear how the statistical results derived from such comparative studies can be directly applied in individual clinical decisions. We know that patients respond differently to the same treatments, while the methods and policies of evidence-based practice are premised on an assumption that the same treatment should be given to all. The problem of studying and treating genuinely complex diseases motivated the development of personalised medicine, showing the acknowledged limitation of standard models for dealing with complexity and heterogeneity (Hellhammer & Hellhammer 2008). In CauseHealth, we look at the problem of MUS in a wider context. In medicine and health sciences, there is an increased concern about the ontological foundation of evidence-based medicine (see Cartwright and Munro 2010, Gifford 2011, Howick 2011, Illari et al. 2011), and we can detect a theoretical move from monocausality towards multifactorial causes, from dualism towards the bio-psychosocial model, and from population studies towards person-centred health care. These separate concerns are a call for a broad and systematic philosophical renewal, starting with a study of the basic assumptions of the orthodox scientific framework, including the concepts, ontology and methods related to causation in health sciences. CauseHealth urges that we treat the challenging features of MUS as exemplary rather than to be dismissed as marginal. Potentially, the same issues concern all complex medical conditions: cancer, heart disease, obesity, Alzheimer’s, hypertension, diabetes, stress-related symptoms and many others. Complex disorders are difficult to study and treat because they have multiple causes: genetic, environmental and lifestyle factors, many of which are yet unknown. Most medical conditions are complex in this respect (Craig 2008), and since each patient has a unique combination of biological, social and psychological factors, complex diseases are very likely to be heterogeneous (Hellhammer & Hellhammer 2008). It is therefore to be expected that the results of CauseHealth will concern how we deal with human health in general, not only with respect to MUS. Gifford F, ed. (2011) Philosophy of Medicine, Elsevier.